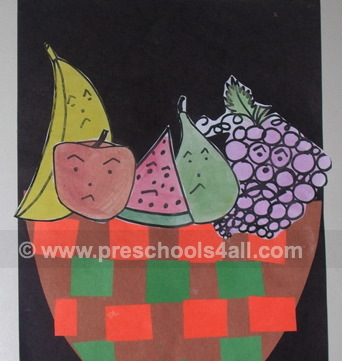 These bible crafts for preschoolers focus on comparing the gifts Cain and Abel presented before God. 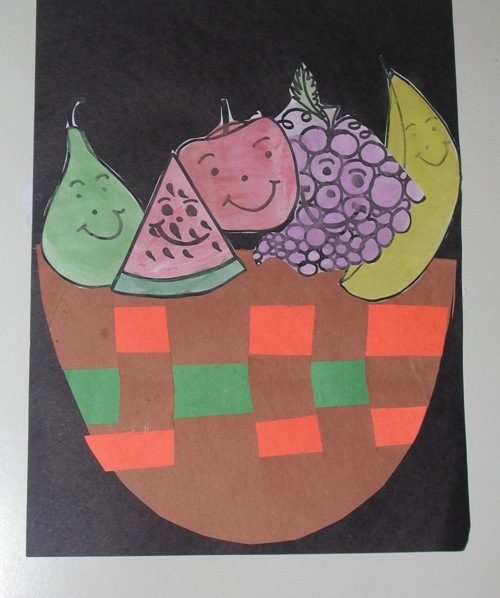 Use this bible craft for children as an opportunity to practice sorting. Read the story of Cain and Abel to refresh your memory and review some discussion points. When creating the baskets, you can simplify by giving each child small squares to glue on the basket. If you would like to give children a challenge than use strips of paper for weaving. 2. Glue the baskets on opposites sides of the paper. 5. Sort the fruits and glue them in the baskets. 6. Hole punch the paper, pull the string and hang the mobile.